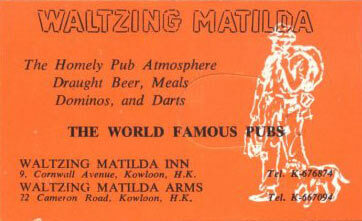 The Waltzing Matilda Inn must have been the most famous Hong Kong bar of them all. 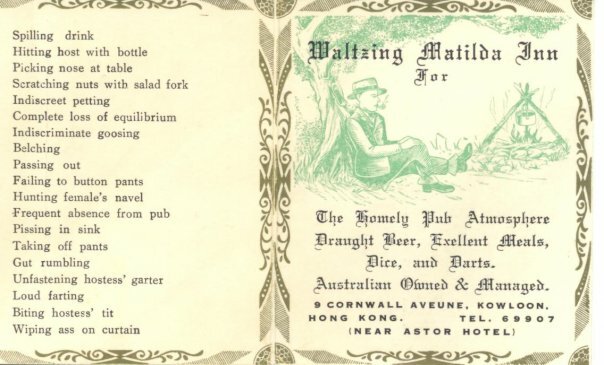 The "House Rules" at the bottom of this page are superb! 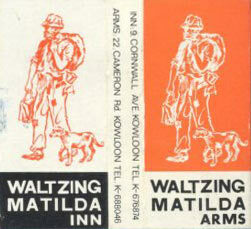 Many thanks to Vanessa for sending these to us. Brilliant Nostalgia!